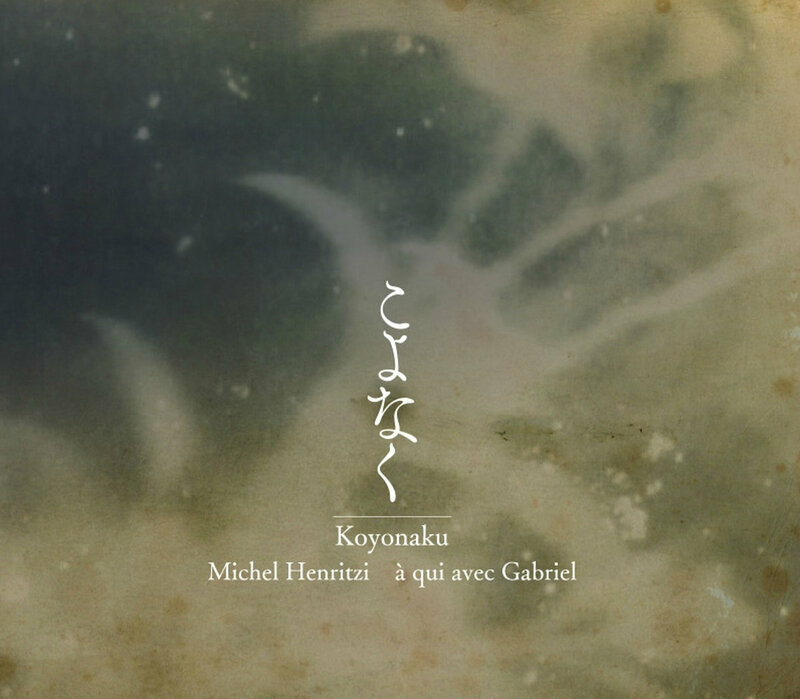 Koyonaku is a Japanese word that means “dearly,” “above all else,” and the title of this 2016 record, a collaboration between French guitarist Michel Henritzi and Japanese accordionist and vocalist A Qui Avec Gabriel. The word’s meaning flows through these eight forlorn love songs, the soundtrack to a Tokyo night spent searching for someone loved – dearly, above all else – and lost. The album is the duo’s modern take on Japanese enka music, a form that incorporates elements of traditional Japanese music into popular ballads. Each track is a cover of classic song in this genre (with the exception of T7, an A Qui Avec Gabriel original, and perhaps T4?). Henritizi’s playing draws on Japanese folk, blues, and Fahey-style experimentalism (especially T5, a haunting duet). A Qui Avec Gabriel adds accordion melodies and whispered vocals, her voice collapsing into gutted sobs on T3. The album’s final track, the 1947 ballad “Hoshi no Nagare ni” (“Stream of Stars”, T8), features A Qui Avec Gabriel on electric organ. It sounded to me like a brighter ending, until I learned the lyrics were about a nurse returning from war to find her family dead and no choice left but to become a prostitute: I smoke a cigarette, whistle a tune, wander aimlessly into the night… what kind of woman have I become?